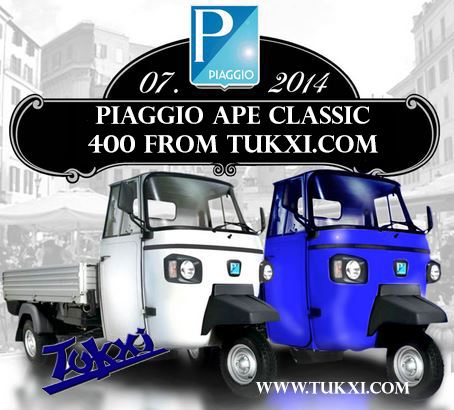 The new 2014 Ape Classic 400 pickup truck is the latest from Piaggio. 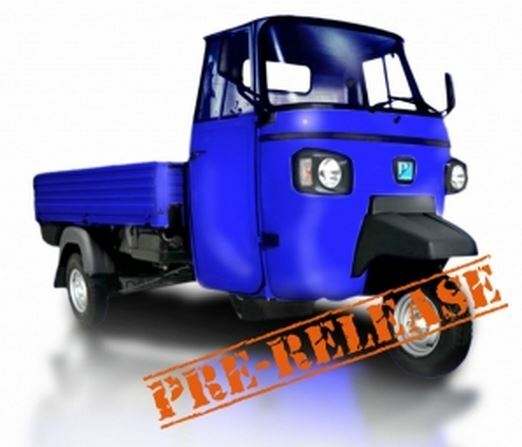 Powered by a 435cc diesel engine and with a catalytic converter for close-to-zero emissions, this new Ape will fill the missing gap in the range. In our opinion it's easily the best looking Ape – and the most practical. With a top speed close to 40 mph and consumption well over 100mpg, this new Ape will cope with whatever you throw at it and will work hard whatever the weather. Makes a perfect platform for a coffee cart, with a much higher payload than its little brother, the Ape 50. 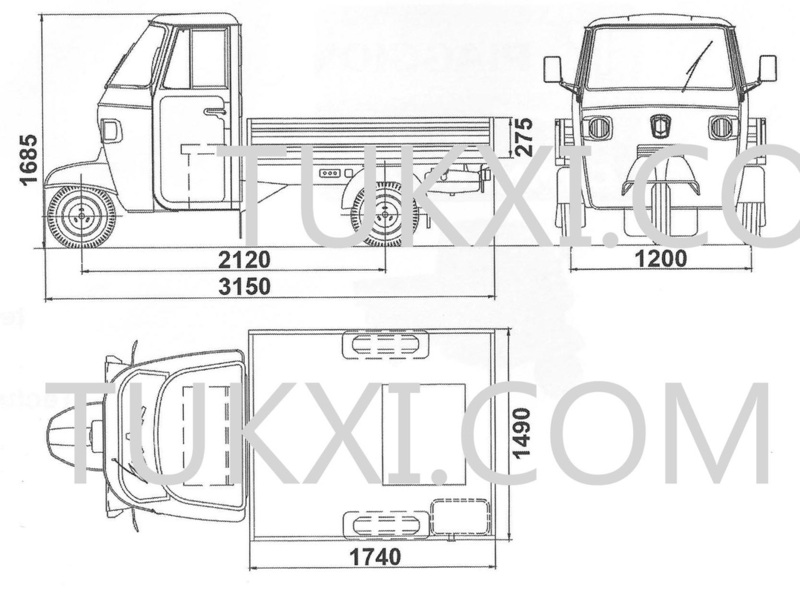 Tukxi Ltd, Unit 1 Millwey Rise Workshops, Second Avenue, Axminster, Devon EX135HH 01297441299 +441297441299 reception@tukxi.com All content copyright Tukxi Ltd 2019 Tukxi, we custom build Piaggio Ape vehicles to your specification, we export worldwide.